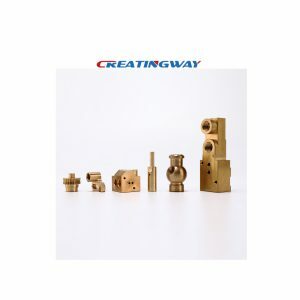 There are multiple materials in industry which can be machined using CNC Machined process. Choosing the right material may be daunting given the number of CNC machining materials in the market. But there are fundamental considerations which will ensure that you always get a material which will fit your project needs. Consider the price, durability and the workability of the materials will be very key point. It’s very important to evaluate the aesthetics of the material, physical and chemical properties performance. In some special project, the strength, weight and force also must be considered, such as aerospace part that we have to make sure material chemical and mechanical passed AS9100 standard. The medical and consumer electronic product ( like coffer machine), we need to ensure the materials under FDA and mechanical performance test. So how to choose the correct CNC machining materials are very important. This type of aluminum is the most common and is used for general applications. It is alloyed with magnesium, iron, and silicon. It is light in weight, is corrosion resistant, and quite workable. Its wide availability makes it the preferred material for different automotive parts, medical parts and consumer electronic parts, Its finishing process we mainly have used common anodizing, hard anodizing and PFET coating, as well sometime we have used power coating for it, make its aesthetic and appearance needs from global customers. This aluminum type is not as much common used as 6061AL. The main alloying component is zinc. It is quite strong and has lower workability especially when trying to bend it to achieve desired shapes. But it can easily be CNC machined and also anodized. When we have used some of valve, medical parts, we usually used this materials, Also. most of Europe’s customers prefer to use 6082, 2017 AL, it is similar to our 7075 AL. Its finishing is same as above 6061AL anodizing process. Copper is a pure element and has good cosmetic features, it is easy oxidized become a little black after CNC machined or exposed outside. Brass is derived from alloying copper and zinc, its strength is more than copper. But both are considerably soft and are quite workable. They are suitable for emphasizing aesthetics and have excellent eye appeal. We usually have used them to electronic product of conductivity, support body. Its finishing we often do not have requirement, or make nickel plating, silver plating and gold plating. Steel is made by alloying iron with different proportions of carbon. The addition of carbon increases its strength while addition of chromium makes it corrosion resistant. 303 stainless steel has certain amount of sulfur which increases its machinability properties. Usually, we have used it to Oil&Gap industry. 304 stainless steel is one of the most common types of steel. It has 8 percent nickel and 18% of chromium. The rest of the metal composition is made of iron. This steel is quite strong and needs strong machining tools to work on it. It is also known to retain sharpness for long time. It is used to various of industries. This steel is as tough as the 304 stainless steel but has an extra desirable property. It has high levels of corrosion resistance and this makes it quite suitable for marine applications. It finds its use in industrial water piping, marine fittings, and in making of water tanks. Titanium metal is characterized by high strength, lightness, and toughness. This metal is also corrosion resistant. To achieve certain characteristics, titanium is sometimes alloyed with other metals. The metal has low workability and can only be machined using tough tools. It is applied in those areas which need light but tough materials such as the aerospace industry, bio-medical field, and the military. This kind of steel is quite common but lacks most of the properties found in 304 and 316 stainless steel. It has mild resistance to corrosion and reasonable level of workability. The good thing with this steel is that it is quite cheap and has considerable strength. It is used for different industrial applications and also finds wide use in the construction industry. It called Polyformaldehyde, have white and black plastic raw materials, it has high hardness, high steel and high wear characteristics, Hence, people often also called Saigang, It mainly used for gear, bearing, auto parts, medical parts,. instruments and transmission parts, There is one disadvantage on its material deformation after CNC machined. so we have to make aging treatment before CNC machined, need to take more time to complete prefect parts, which meet expected tolerance and appearance. PEEK has high melting point 334 degree, high mechanical strength, high temperature resistance, impact resistance, flame retardant acid and alkali resistance, hydrolysis, wear resistance, fatigue resistance and good electrical properties. It has good toughness and rigidity, also has excellent fatigue resistance to alternating stress as well as alloy materials. Due to these more advantage, hence, it is widely apply for electrical, medical devices, aerospace and others fields. Furthermore, there is more metal and plastic raw materials we can use CNC machining process, we will take more blogs to share them next. Choosing the right CNC machining materials is quite easy once you understand the properties of different metals. You will also need to evaluate the project needs and the application of the final product to evaluate the best suited materials for that specific application. Use the above guide to choose the right material for your project. Welcome visit our material sheet guide for more information.